Medium Project 8-3, Powder Bath » Roger Perron Inc. The powder bath remodel has a small custom basin and an interesting tile mural with the faucet coming out from it. 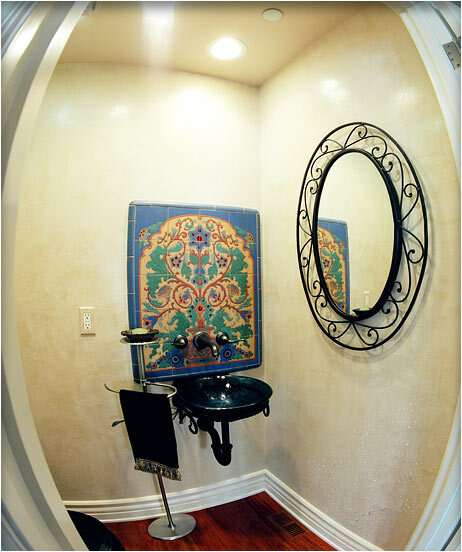 The Venetian plaster walls add to the quality of this lovely powder bath.